Welcome to glorious England! Stroll through beautiful parks, visit a masquerade ball, and drink tea with noble ladies and gentlemen. Explore a legendary time and complete 120 exciting levels! Collect pairs as fast as you can and use special multipliers to increase your rewards. Collect golden cards to complete levels and unlock the next location. Pick up bonus cards and get additional rewards! Enjoy beautiful music to help you relax and concentrate on the game. 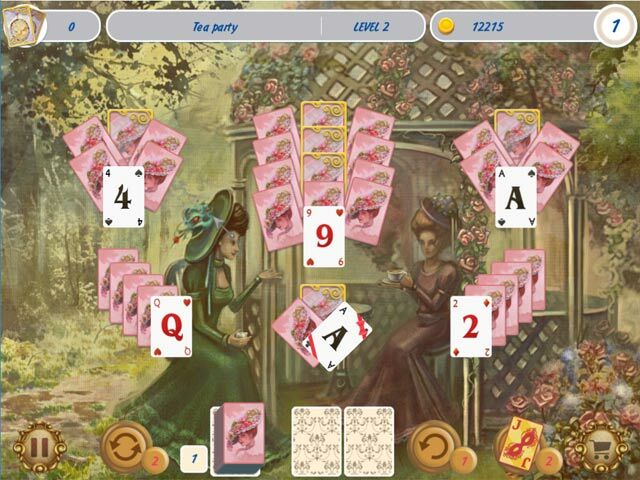 Travel through time with Solitaire Victorian Picnic!